Christian Bendsen, production manager and head miller of Flourist works the stone mill at their production facility in Vancouver. 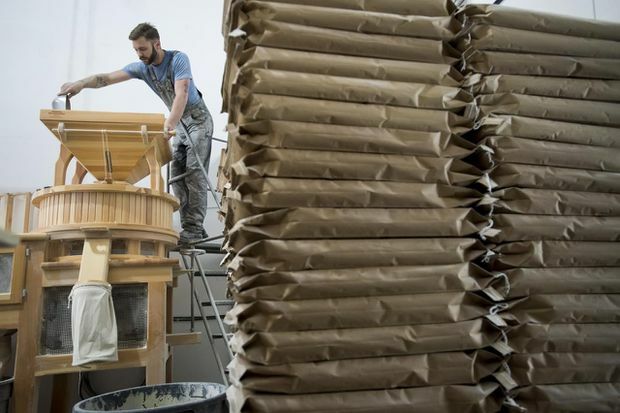 In a small warehouse near the southern edge of Vancouver, a man scoops freshly milled flour into brown paper bags stamped “Flourist” that will soon ship out to customers hungry for fresh, additive-free baked goods. Flourist and other fresh flour producers have seized on rising demand for whole, traceable baking ingredients, as well as a stronger connection between consumers and farmers. Flourist’s co-founders wanted to make fresh flour – the type without any additives and that needs to be stored in a fridge – available to Canadians. “Flour should be consumed fresh after milling and it just wasn’t something we had access to in grocery stores at all,” says co-founder Shira McDermott, lamenting the long list of ingredients that can be used in mass-produced flour to keep the product stable over time. She recalls when her business partner first started gifting her chickpeas and other products from her stepfather’s farm in 2012. “I was just completely blown away by the difference in quality,” she said of their freshness compared to what she says are overly processed grocery store options. They soon started Grain, recently rebranded as Flourist, and sold lentils, wheat berries and other grains in stores and online. 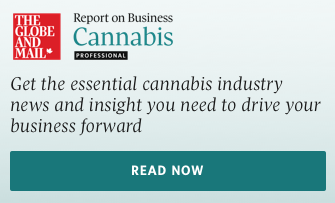 The duo purchased a custom-built stone mill from a family-owned company in Austria in 2014, but it wasn’t until the spring of 2017 that they managed to overcome regulatory hurdles and start fulfilling orders. They now mill about a dozen varieties and ship to customers across North America, including dozens of restaurants, mostly in Vancouver. In June, they’ll open an eponymous bakery in an effort to convert more consumers into carb lovers. The 260-square-metre (2,800-square-foot) space will house the mill and sell baked goods, coffee as well as freshly milled flour. All types of consumers seem hungry for their additive-free flour, as well as loaves baked with it. Flourist’s buyers span “a wide stretch,” said McDermott, though its core demographic is probably mothers, foodies and hobby bakers. “Sourdough bread baking is exploding,” she said, and the company plans to use the retail store, in part, to show people what a difference fresh flour makes to a loaf. Recent health trends, like the shift toward gluten-free and anti-carbohydrate diets, pushed Canadians to eat less bread and turn to more premium varieties, according to a recent industry report from market-research firm IBISWorld. There’s a market now – albeit a small one – for artisanal bread, said Dara Gallinger, co-founder and CEO of Brodflour. The mill and bakery opened in early 2019 in Toronto’s Liberty Village neighbourhood, and sells a selection of flour based on what it’s milling that day. “People are starting to be less afraid and I think people are starting to demand more from their bread,” she said, which has also grown into a curiosity about fresh flour. That wasn’t always the case. Garret Jones first attempted to sell flour, freshly milled at home using his countertop contraption about the size of a tea kettle, at Vancouver farmers’ markets about five years ago. But passersby favoured the already baked loaves of bread that used the flour instead. Now, the general awareness around how food is made is growing, he said, and the demand for artisanal bread is likely to increase. He’s hoping to open a bakery in Vancouver within the next year or so where customers can buy grains, much like they would coffee, and mill it themselves at countertop stations. These companies also provide an alternative buyer for farmers. Will Robbins is one of three partners operating the family farm he grew up on about an hour west of Saskatoon. He was looking to shorten the supply chain for his crops, and develop closer relationships with bakeries and flour mills. He learned about Flourist and now sells his French lentils and red spring wheat to the company. He wanted to make the shift because he thinks it’s important people understand where their food comes from. A cartoon sketch of his face graces the Flourist boxes containing his products. It’s also a financial benefit to him. “The more as a farm we can get out of the commodity markets and into direct relationships with people the more we sort of protect ourselves from the swings of the commodity market pricing,” he said. The farm currently sells about five to 10 per cent of its crops outside commodity markets, he said, but he hopes to grow these direct relationships to 25 or 40 per cent in the near future. Are ‘natural’ foods really better for you?